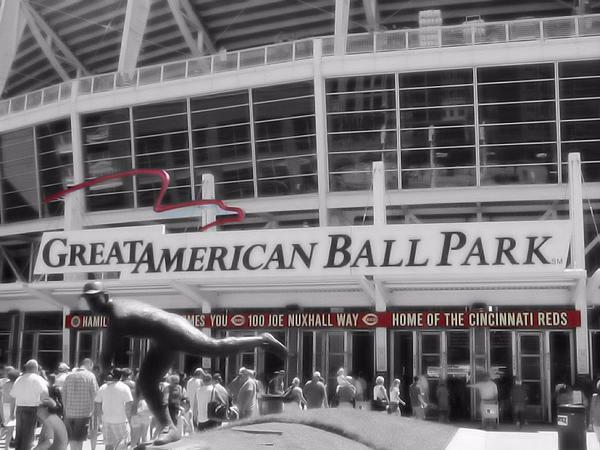 There are no comments for Great American Ball Park And The Cincinnati Reds. Click here to post the first comment. 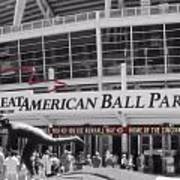 Great American Ball Park is a baseball stadium located in Cincinnati, Ohio. 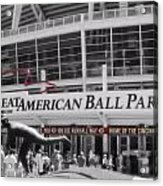 It is the home field of the Cincinnati Reds of Major League Baseball (MLB). 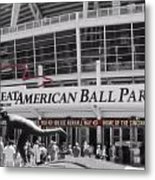 It opened in 2003, replacing Cinergy Field (formerly Riverfront Stadium), which had been their home field from June 1970 to 2002. Despite the patriotic tone of the name, the park's name comes from the Great American Insurance Group, which purchased the park's naming rights. Carl Lindner, Jr., the late chairman of Great American Insurance Group's parent company, American Financial Group, was the majority owner of the Cincinnati Reds from 1999 to 2005.On January 23, 2013, the park was chosen to host the 2015 MLB All-Star Game.